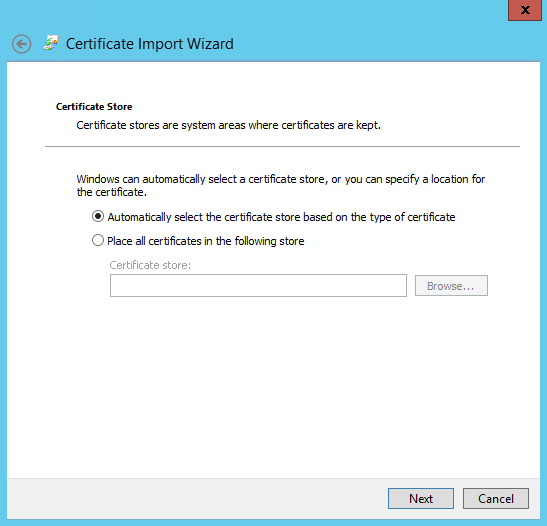 Replacing the ADFS certificate can be a painful process. I have learned it the hard way, that's why i thought; let make a thread for this on my blog, for future reference and to help others out. 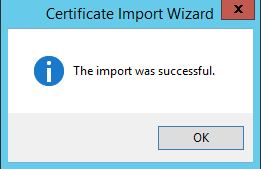 First import the certificates on your ADFS server(s) and import hem also on your WAP servers (if you have any). 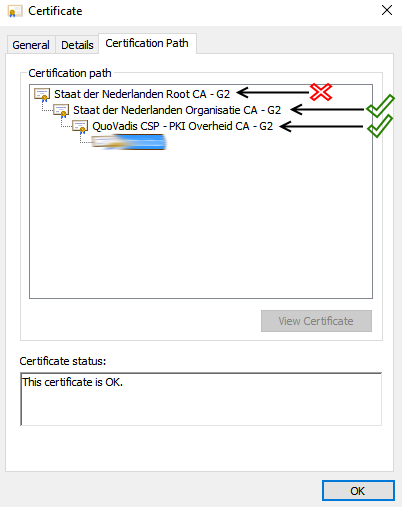 Notice: you must also import all the certificates in the chain (intermediates; see green checkmarks) except for the ROOT certificate (unless you haven't' in your computer store; but usually all globally trusted root CA's are in your computer certificate store. 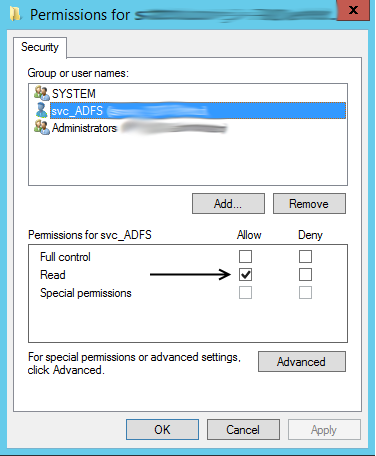 After everything is imported correctly; you must set the correct permissions for the service account that is used by ADFS. 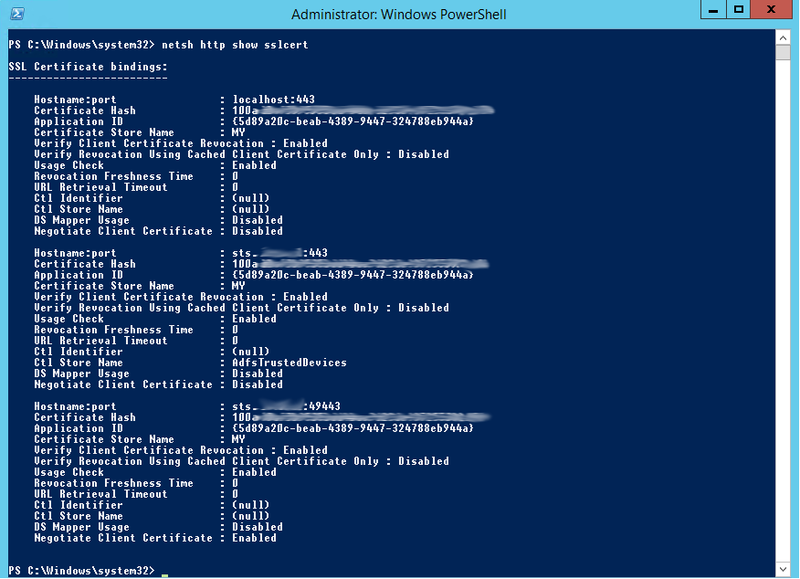 You can verify it, by looking in services.msc for the ADFS service, it is probably running under a specific user. That uses must have access to the private key. Open Windows+R and type mmc and press enter. 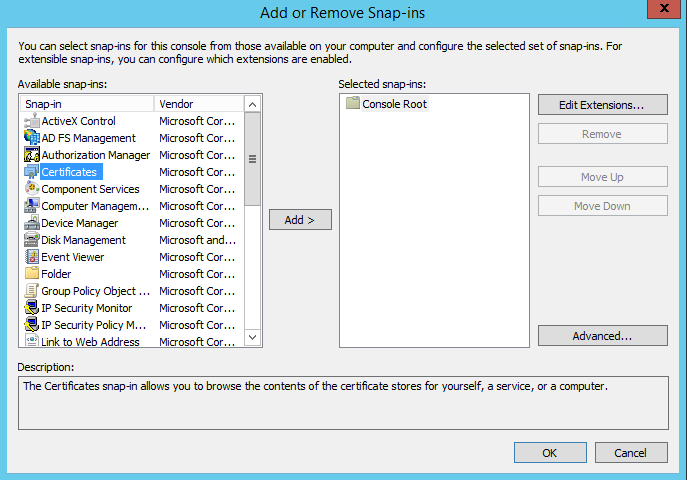 Set the permissions accordingly the picture below for your service account that ADFS wil use. 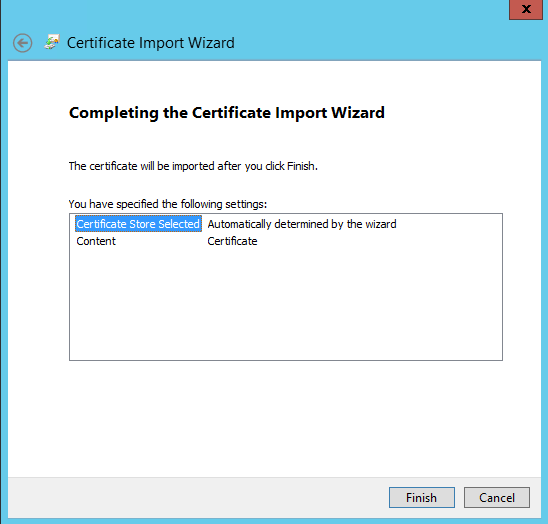 Replacing the certificates on the ADFS server(s). 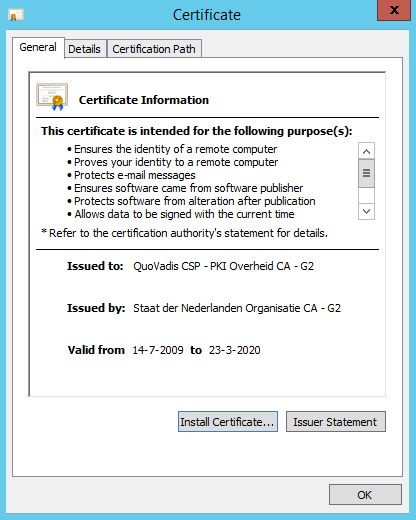 Get hold of the current SSL thumbprint AND the SSL thumbprint of your new certificate. Also check what the thumbprint is that is bonded via HTTP.sys; look for the Certificate Hash. Now we know what are starting point is and what thumbprints are used. Watchout for the default binding! I experienced out of first hand, that it is possible that the new certificate is not bound on the HTTP.sys level after updating the certificate within ADFS. This is mostly the case when you're working with a OSI Layer 7 Load balancer for example a Citrix NetScaler. Citrix doesn't support SNI binding to its back-end connections, only to its front-end facing connections; this was the case prior NS 11.1 build 54. Since the release of NS 11.1 build 54, Citrix NetScaler supports SNI binding to its back-end connections, but i must make a annotation to this. Citrix published this new feature in it's relase notes, but didn't mention this is only possible if you are NOT working with servicegroups or SSL profiles. So check if the Certificate Hash is correct on the 0.0.0.0:443 or localhost:443; if not the case, use the following commands. The AppID is the same for every ADFS server/instance for every ADFS server; you will notice that the AppID issued in my command is exactly the same as yours. Afterwards; go the next chapter. 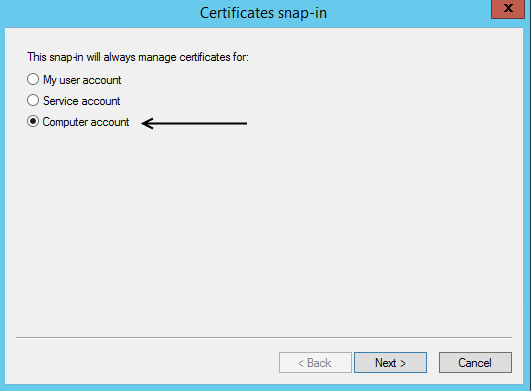 Replacing the certificates on the WAP servers. Go to the ADFS Proxy servers (WAP). 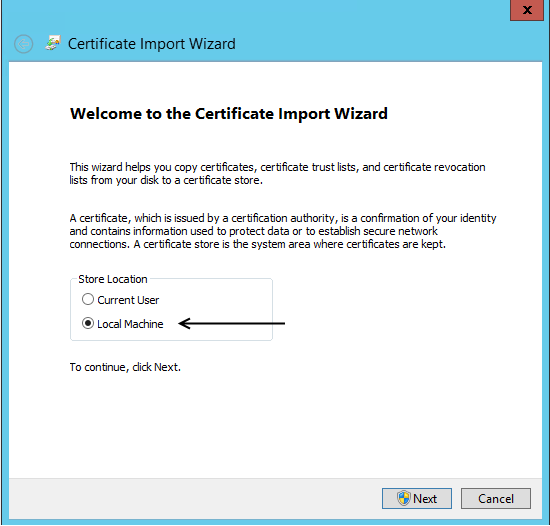 Do the same on your WAP server, concerning the import certificates. Incase you see a default binding (probably the case if you are using an mature load balancer), you must also replace it there. That's it! were done here. Thank you for reading!